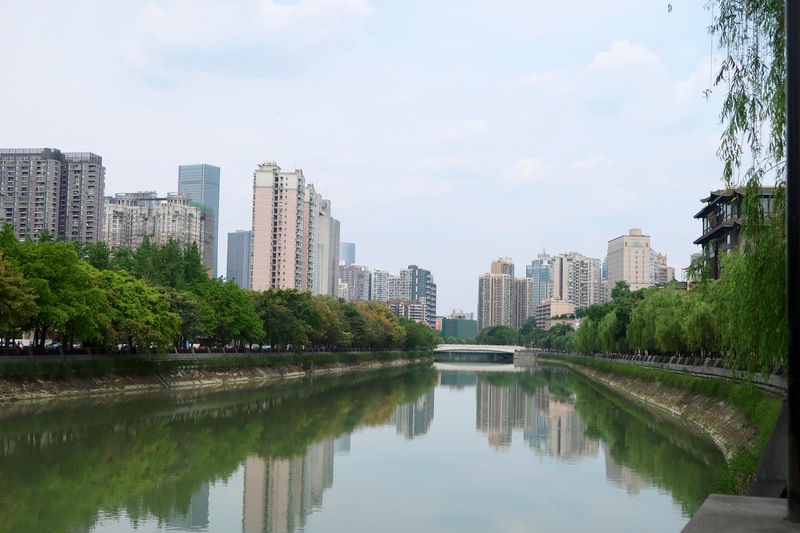 Chengdu is a vibrant city in the Sichuan province of China and home to over 14 million people. It’s most famously known for its spicy food (specifically hot pot) and its proximity to panda centers, both of which I took part in. The city is absolutely buzzing with life. 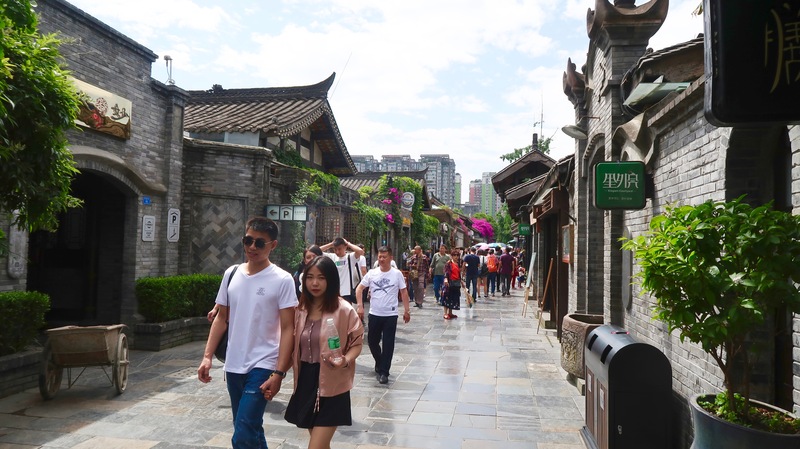 And, it’s culture is a fascinating combination of modern and traditional, since it’s an ancient city with a now thriving population of young people. You never know what you’ll see behind each turn and the city is filled with pleasant surprises, from hip shopping areas to ancient cobblestone roads. 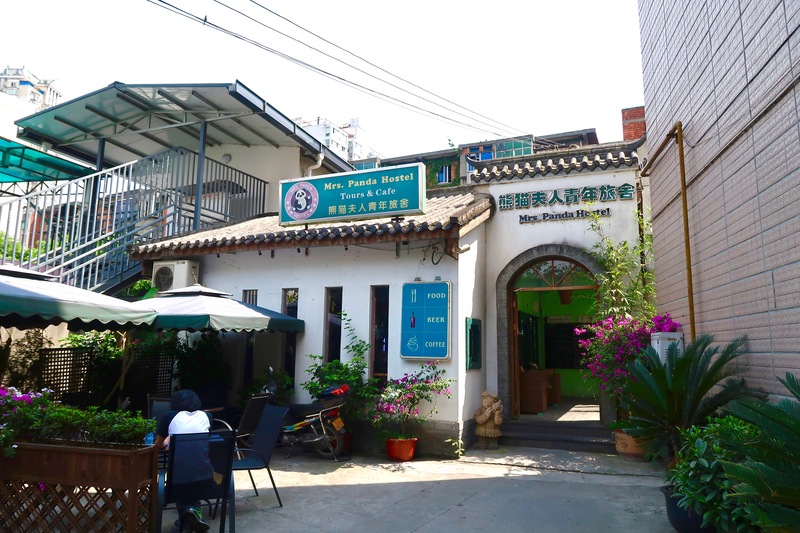 I stayed in the Mrs. Panda Hostel, which was super charming and located in a central spot along the Jin River and only minutes away from the Huaxiba Subway Station. They have solid WiFi (which is crucial) and delicious food! Finding vegan options was easy since most meals are served family style and you can pick and choose what you want. 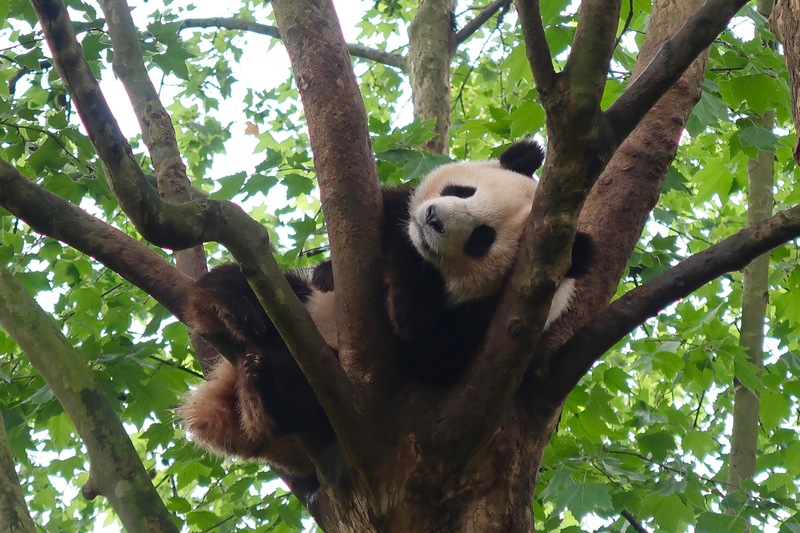 I went to China through a volunteer organization called GoEco, so I was lucky enough to have a local guide to show me and a few other volunteers around Chengdu. 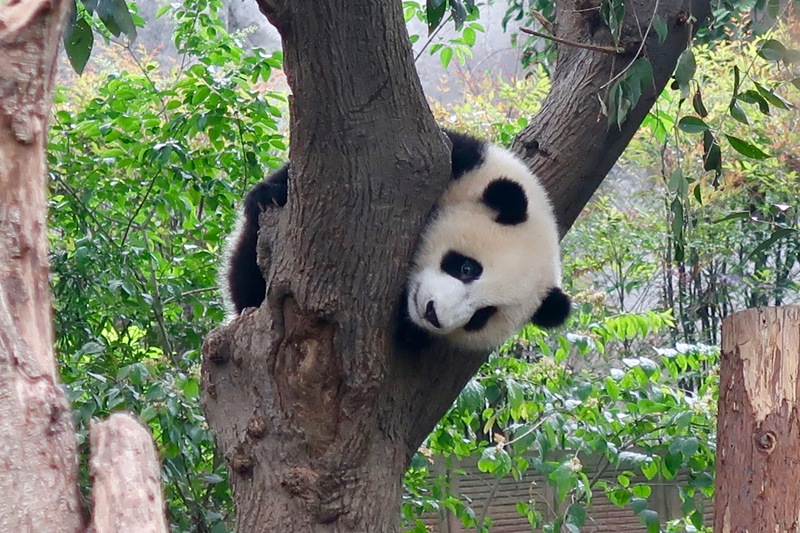 My GoEco trip was focused on volunteering at a panda center (a life-long dream of mine), which I will outline in another blog post coming soon! 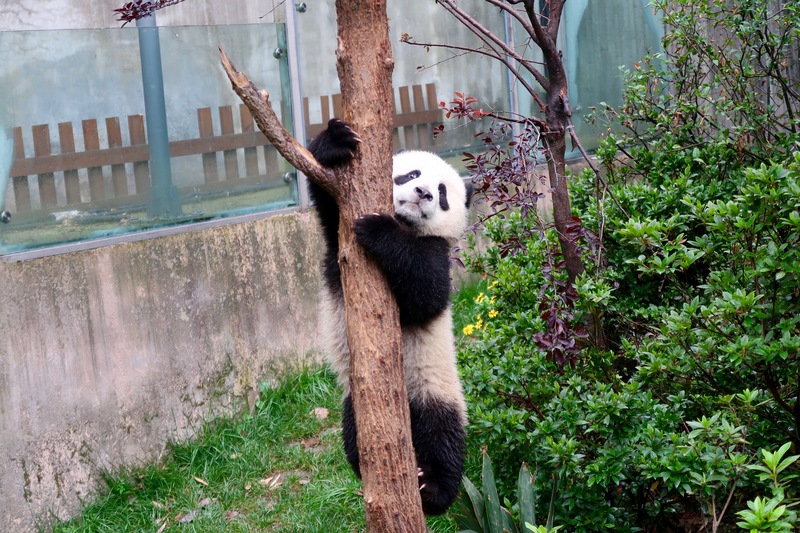 We were all super antsy to meet some pandas, so this panda center was the obvious first stop. 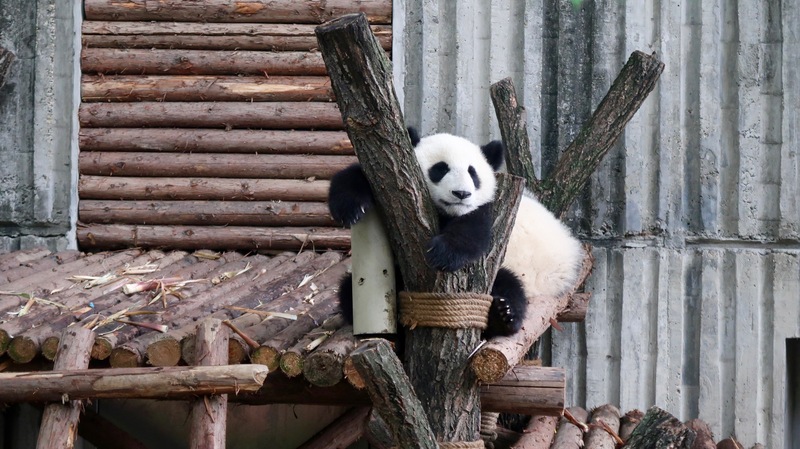 The Chengdu Research Base of Giant Panda Breeding is a non-profit research and breeding facility for giant pandas and other rare animals. 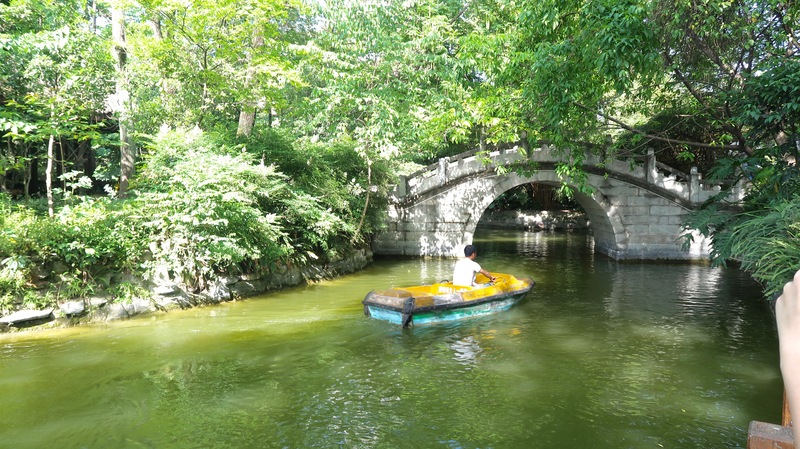 It was filled with crowds since we were there during peak tourist season in May. 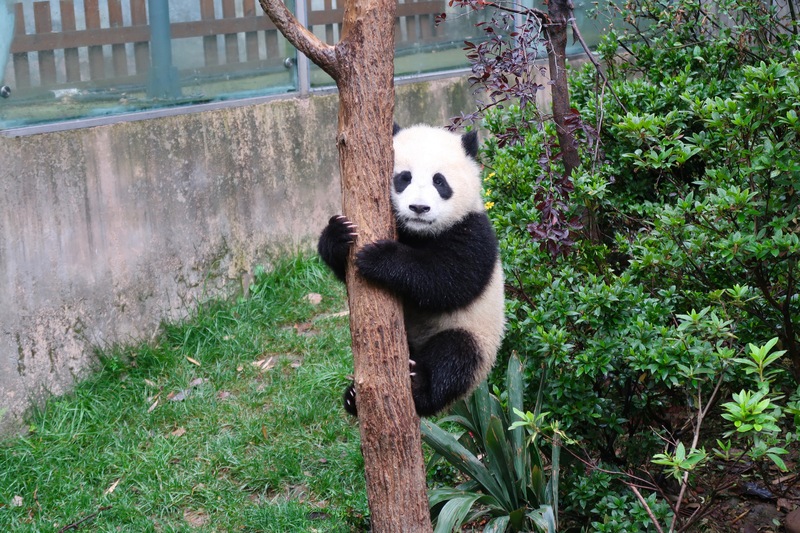 But, there is absolutely nothing like seeing a panda in person. They are the sweetest, most endearing animals I’ve ever had the pleasure of interacting with. I could go on for hours, but I’ll let the pictures tell the story for me. 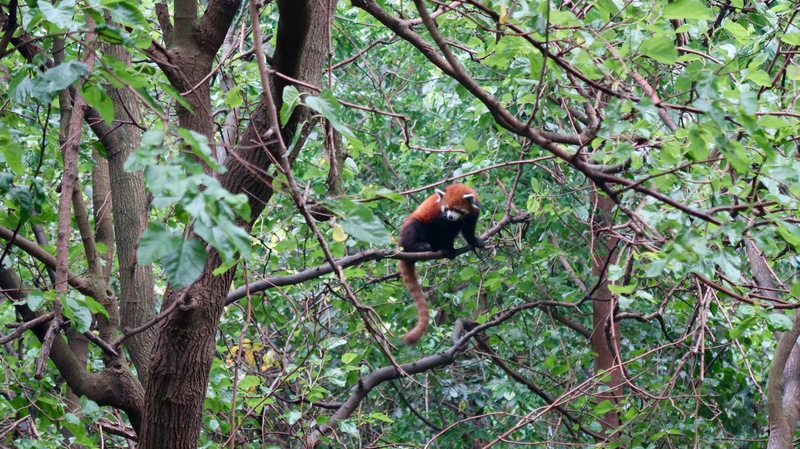 At this panda center, they had baby pandas, adult giant pandas, and red pandas. 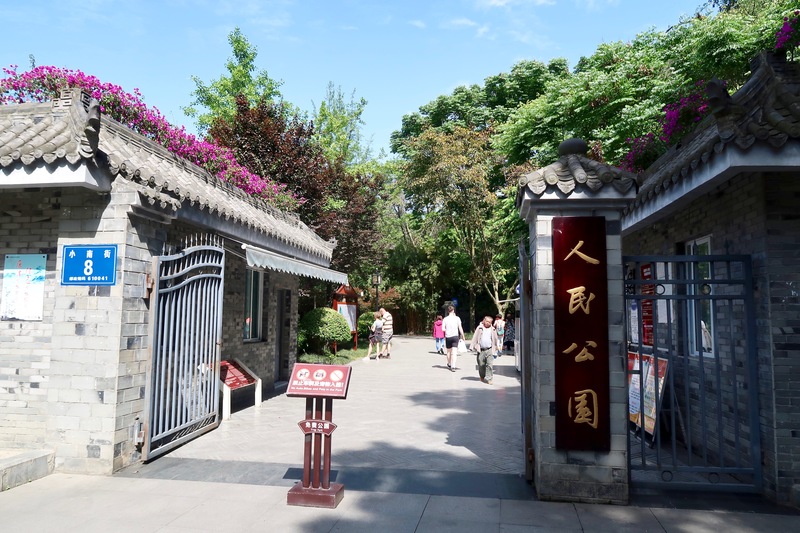 Also known as Kuan Alley and Zhai Alley, these streets are hundreds of years old and are now filled with food vendors, pubs, little shops, and entertainment of all kinds. 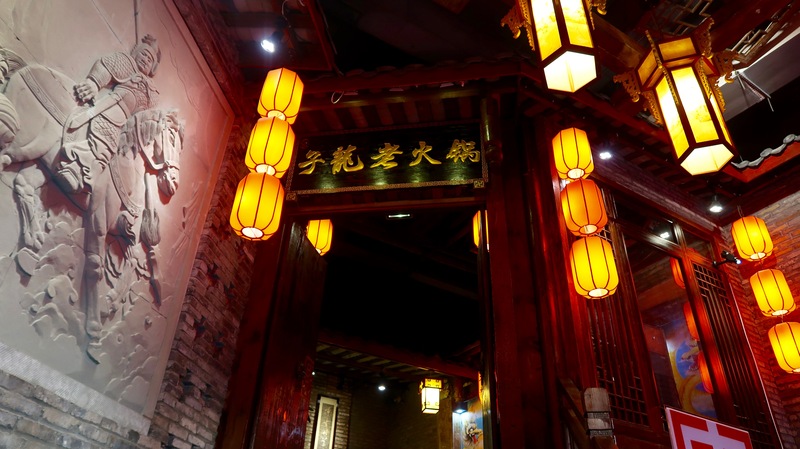 The perfect Chengdu combination of traditional and modern. 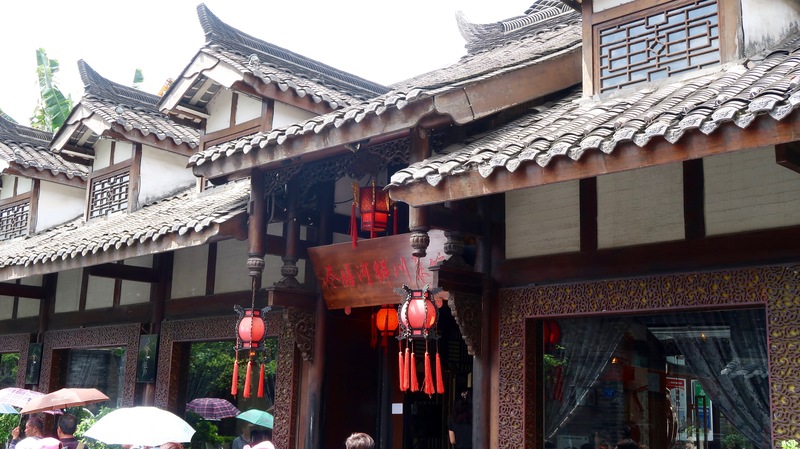 The architecture of the buildings on these streets is a marvel all on its own, with traditional Chinese style. Even the Starbucks looked like a building rich with history and intricate in detail! 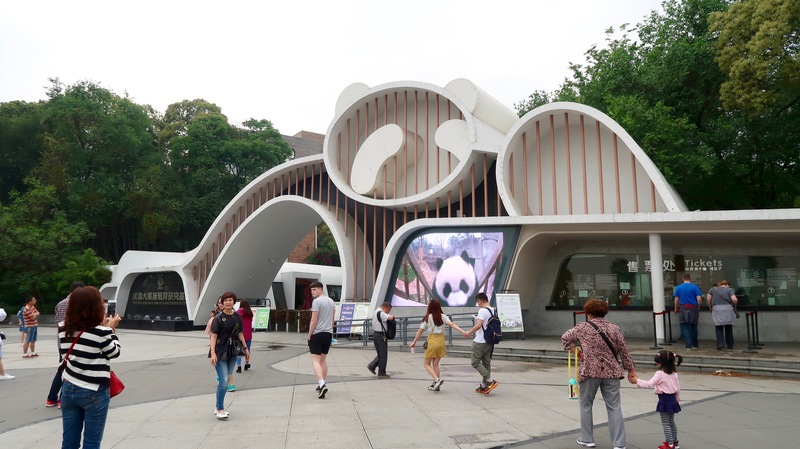 There are plenty of stores hawking touristy panda merchandise (which I must say I indulged in to get gifts for my nieces) and other great shops for buying gifts and souvenirs. The alleyways smelled incredible from the street vendors and it was a fantastic place to walk around and enjoy some people watching. 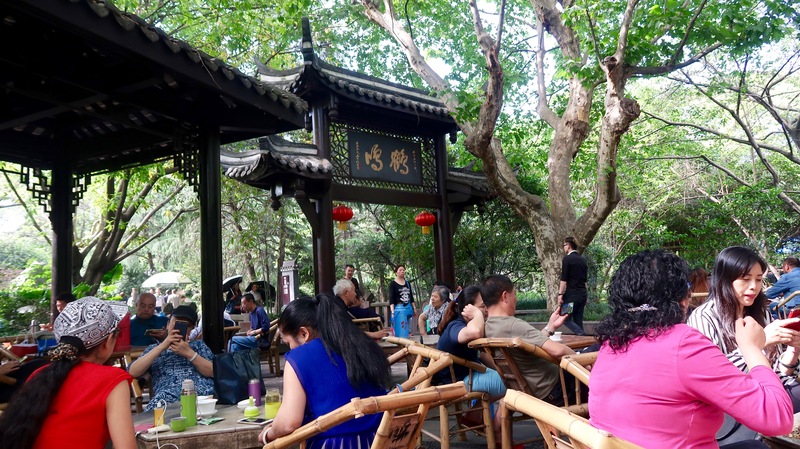 Just a short walk from Kuan Zhai Alley is the People’s Park. 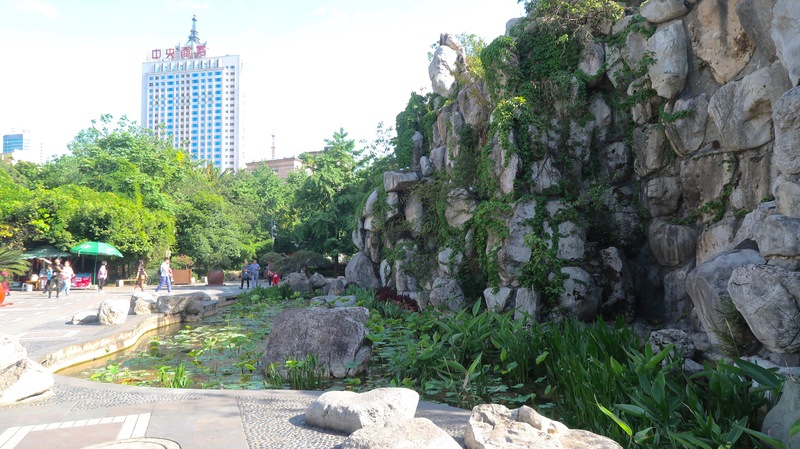 This urban public park is filled with lakes, monuments, and gardens. 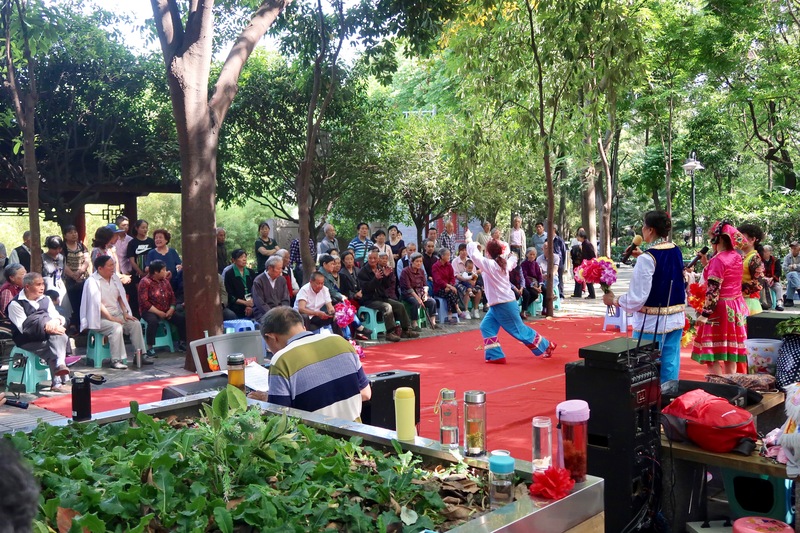 When we went, there were dozens of live performances going on, from singing to dancing, which was a lot of fun to watch. Though it was a calm setting, there was entertainment around every corner. 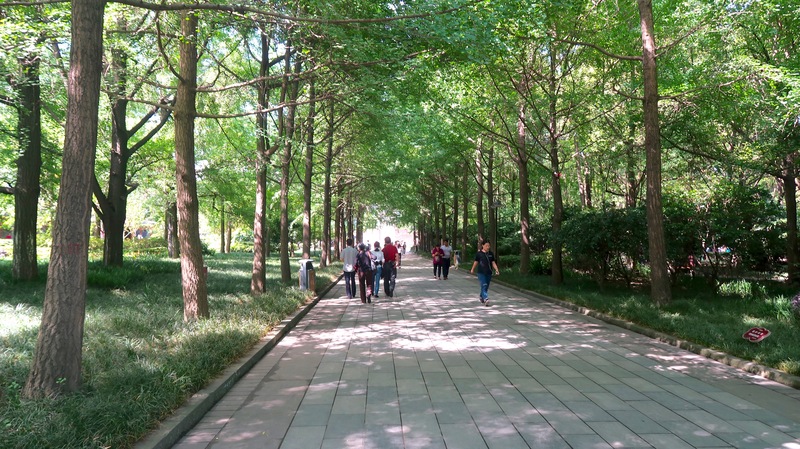 The People’s Park is a great spot to walk around on a nice day and just enjoy the sights and sounds of Chengdu. 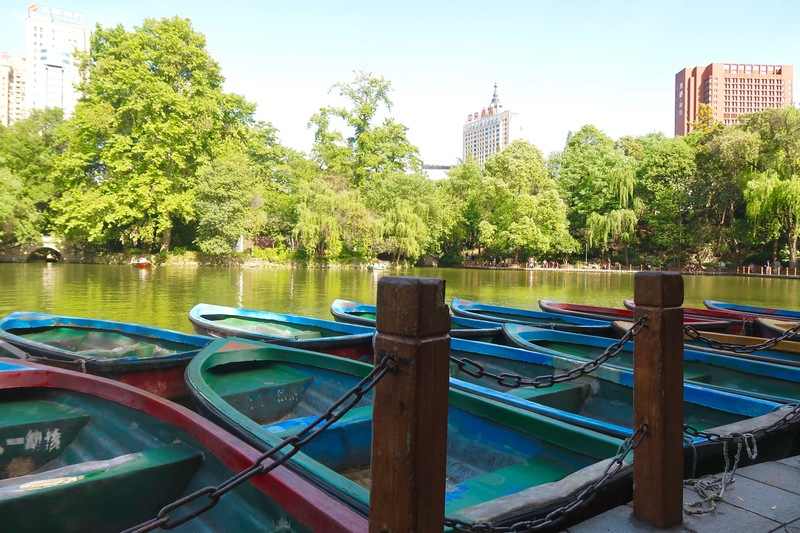 You can rent a boat and go out on the lakes, sit at a tea house and enjoy some local beverages, or just walk around and take it all in. 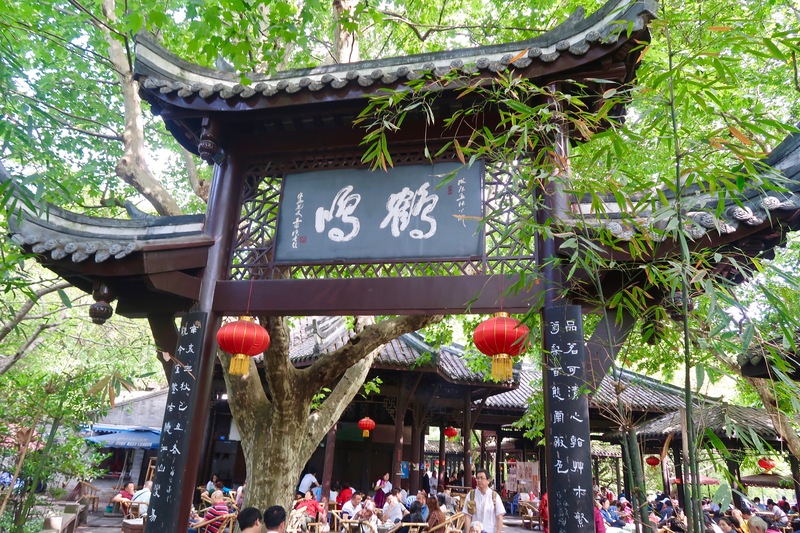 This teahouse is located in the People’s Park, but it’s famous amongst Chengdu locals, so I felt it deserved its own section. The place was packed and definitely had a buzz to it. I got a green tea, which was loose leaf and supposed to be sipped without a strainer or tea bag. 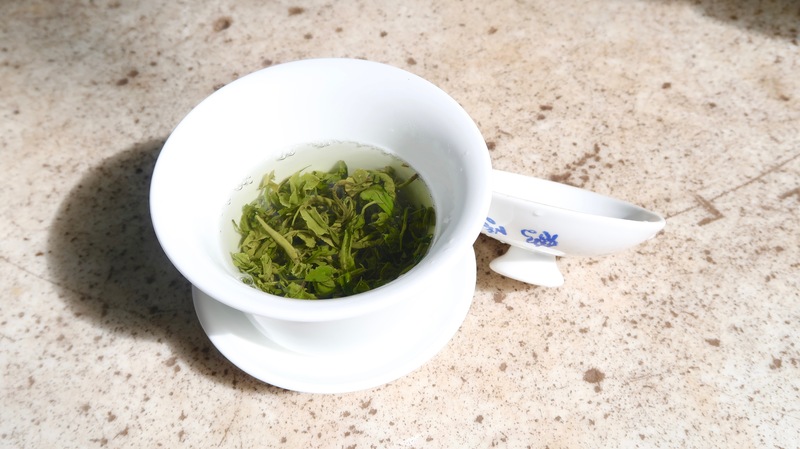 Once you only have a few sips left in the tea, you put your tea plate over the cup and use it as a strainer to pour out the remnants of the tea. The last few sips are too strong and filled with leaves to drink. It was fun to just pour tea out on the ground in a nice place! I’m no tea expert, but it was lovely to get to try some local tea. 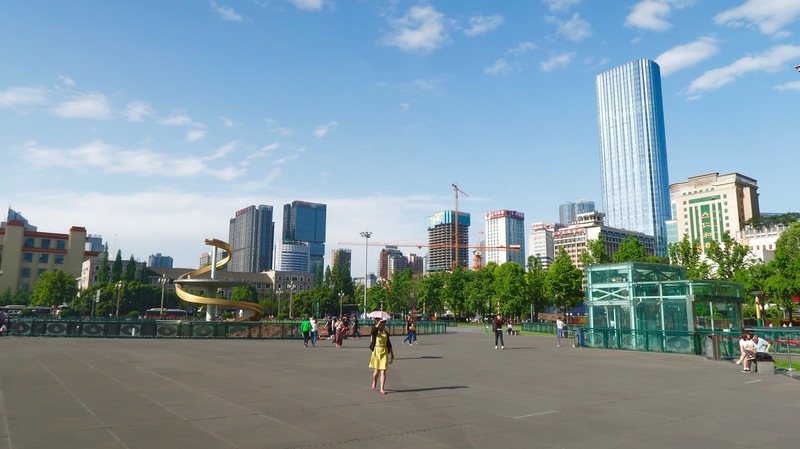 Tianfu Square is located smack dab in the center of Chengdu and offers a great view of Chengdu’s skyline. 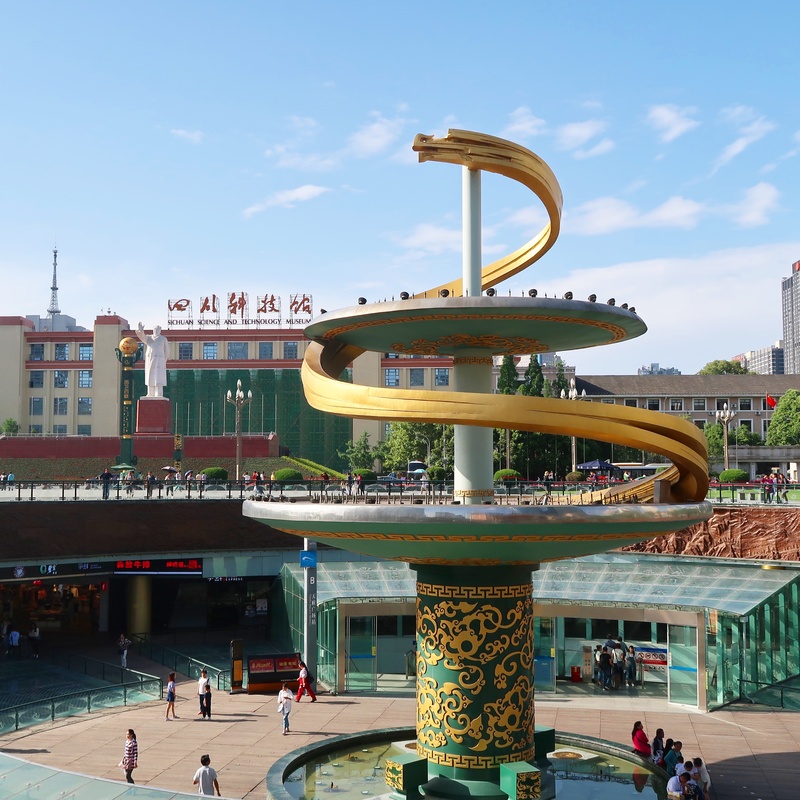 Two notable features of the square are its giant sculpture of Chairman Mao and the floor design, which is a giant ying yang. 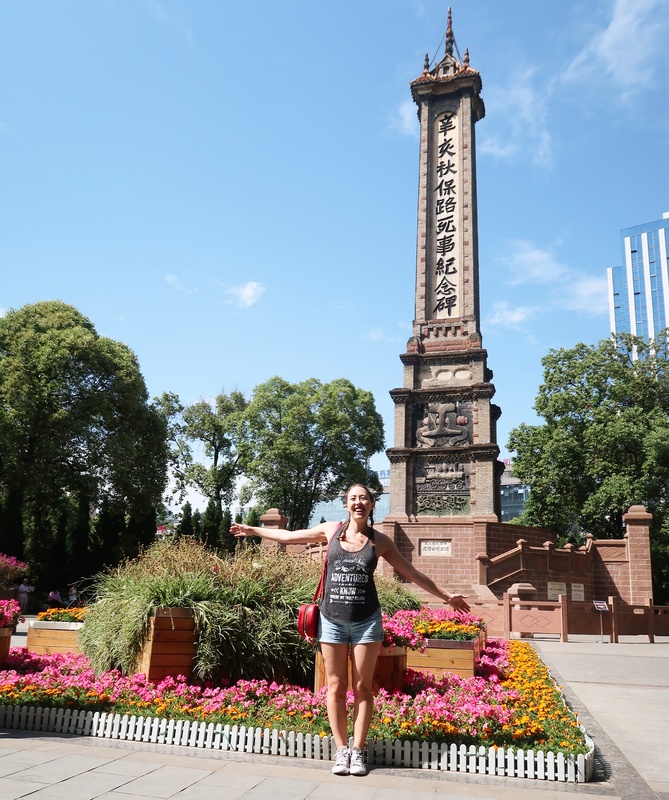 This is a great spot to get a full view the city and it’s surrounded by interesting landmarks and shopping areas to explore since it’s so central. 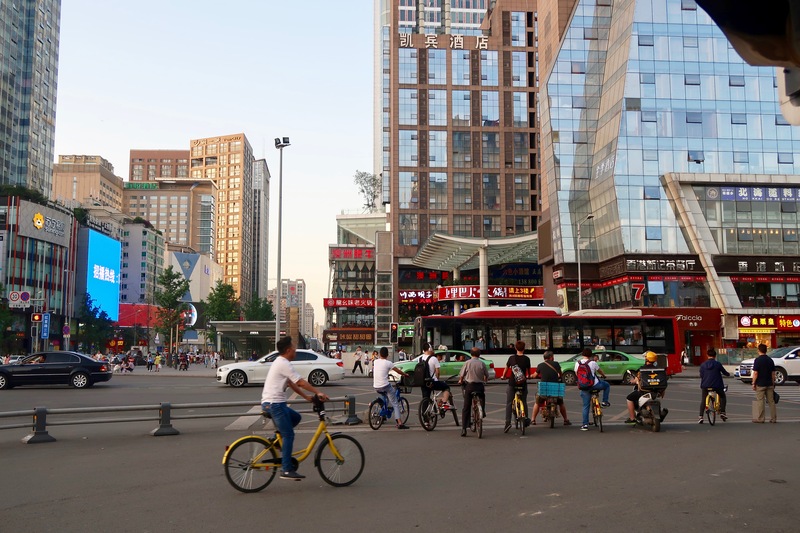 One shopping area we enjoyed was along Chunxi Road and Zongfu Road. 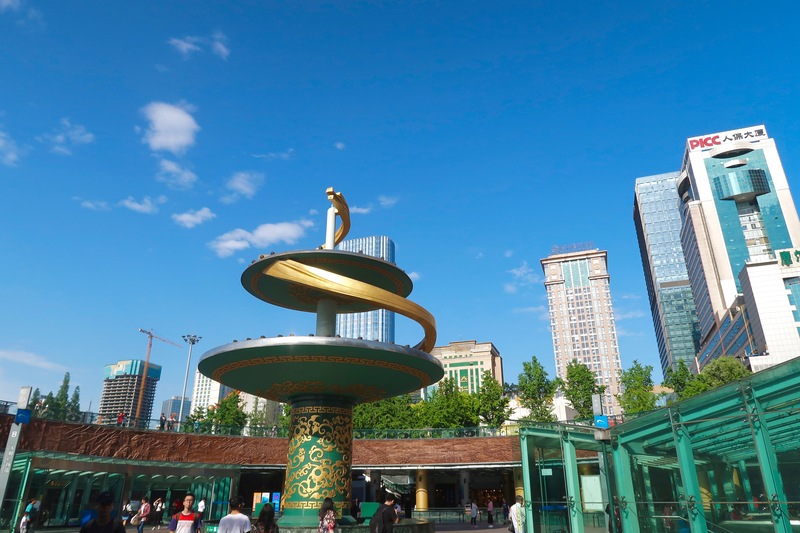 The nearby square looked a lot like Time Square, with bright lights and bustling atmosphere, and there was no shortage of young, chic people shopping around. There are a surprising number of Westernized stores in this area, like Zara, and some local shops and department stores as well. 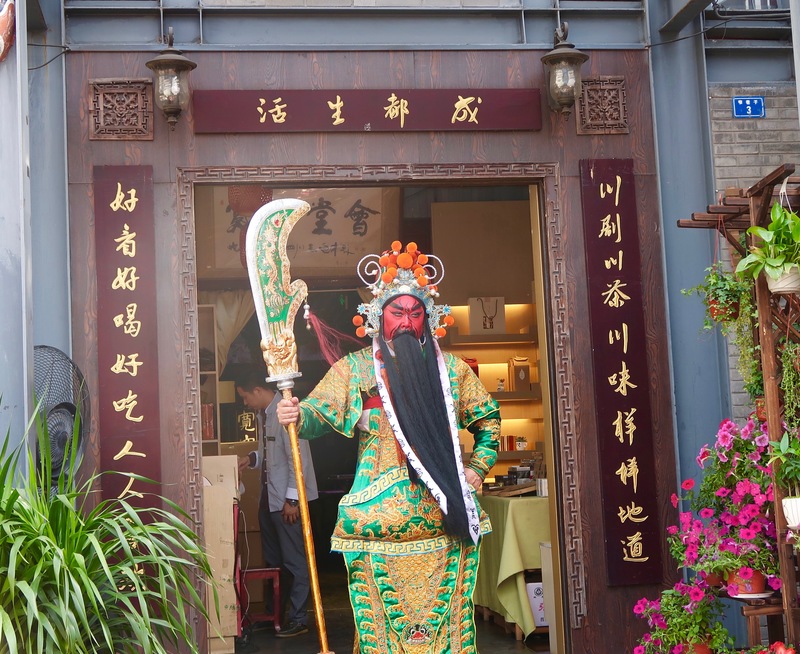 People in Chengdu are impressively fashionable, so it’s a good spot for window shopping and people watching as well. 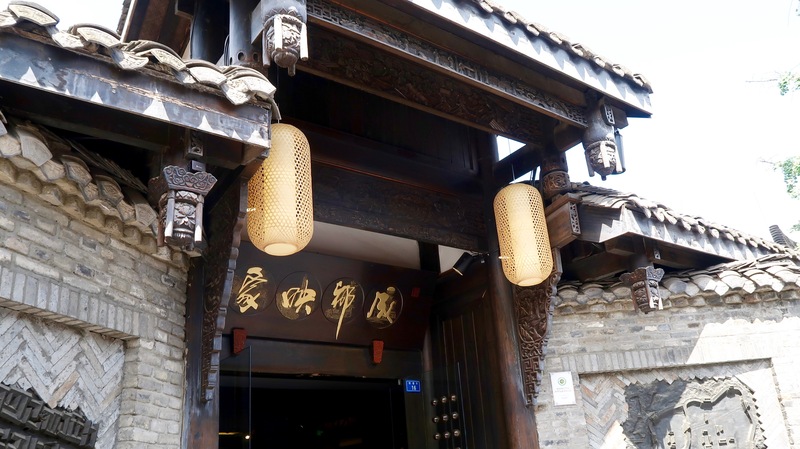 This isn’t a particular landmark so much as its an absolute must-do in Chengdu. 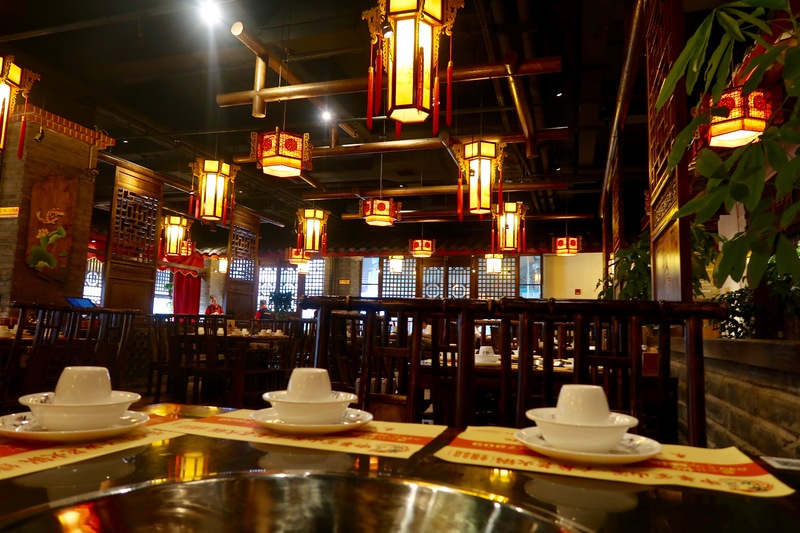 Chengdu is known for its spicy flavors and incredible hot pot restaurants, so you’ve got to give it a try. 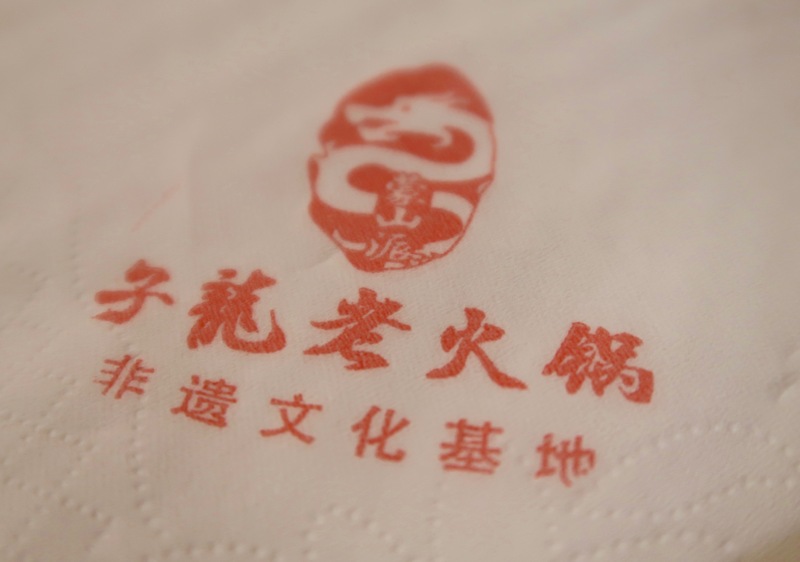 The name of the hot pot restaurant we went to was in Chinese, but I provided a picture of a napkin with the restaurant’s name below in case you or someone you know speaks Mandarin. Since I’m vegan, the waiters kindly split our hot pot into 2 separated sections: one filled with meat and one vegan. My vegan section was filled with mushrooms, tofu, lotus root, potato, and tons of other yummy vegetables. 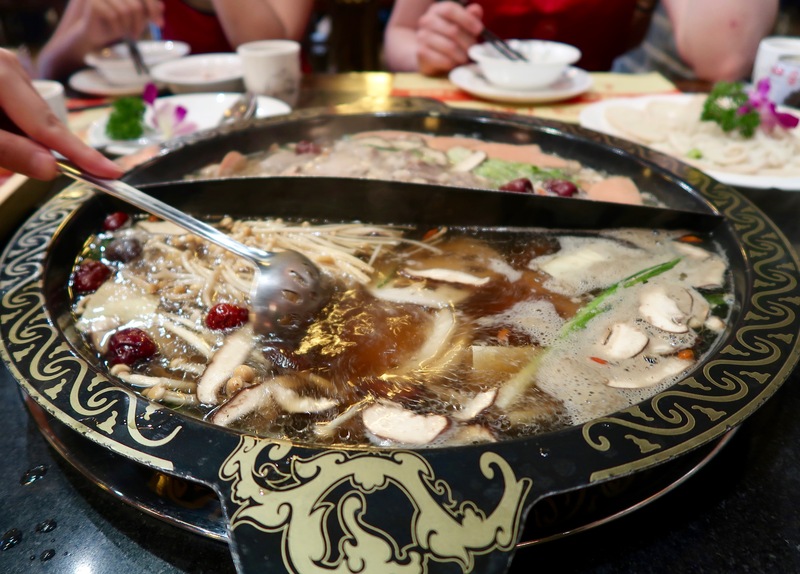 If you’re unfamiliar with hot pot, basically vegetables and meat are boiled in a large communal pot in the middle of your table. Once the food is boiled, you dip it into a bowl of sesame oil and chili oil and ENJOY. It’s simple and delicious. 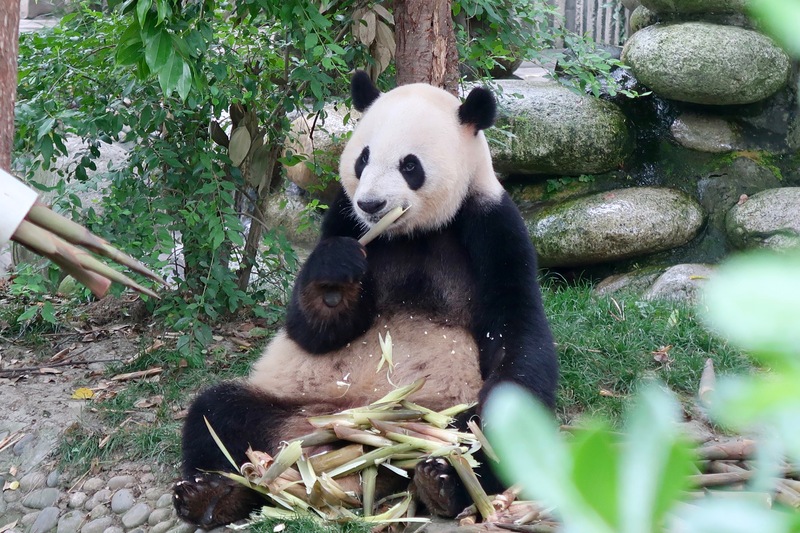 I hope you found this helpful and that your trip to Chengdu is filled with great food and even better memories! 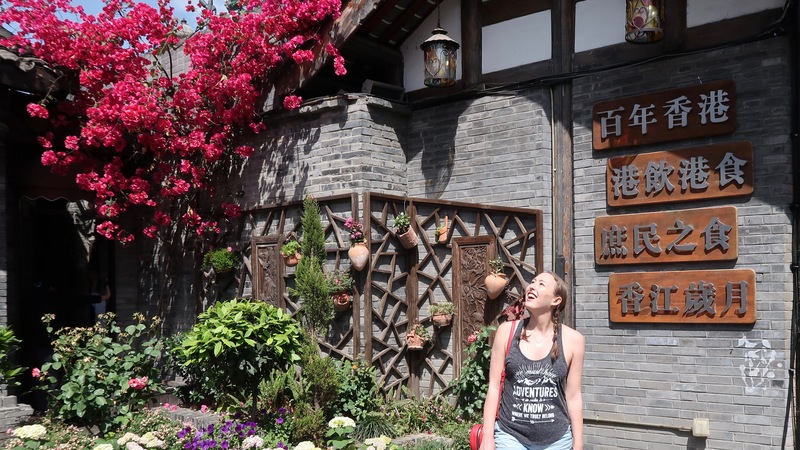 Make sure to subscribe to my blog for more travel tips. Happy travels!